The UN-mediated Presidency Council of the Government of National Accord (GNA) arrived at the naval base in Tripoli on 30 March aboard a Libyan Navy boat sailing from Tunisia. Commanders of the Libyan Navy helped secure the safe entry and protection of the Presidency Council on the base. However, the regularised local militias in Souq Al Jouma area served a primary role in facilitating the Presidency Council’s arrival, and helped galvanise local support at the expense of anti-GNA hardliners. On the day of the Presidency Council’s arrival, the opposition Al Sumoud Brigade, led by Salah Badi of Misrata, mobilised tanks and heavy artillery near the port, triggering intermittent clashes with the Tripoli militias in the area. The Al Sumoud Brigade was forced to retreat after intense negotiations and the intervention of Misratan social and political heavyweights who support the GNA. The Grand Mufti Sadeq Al Gheriani made a live televised statement outlining five conditions needed for the GNA to receive a ‘Sharia’ blessing. Should these conditions not be met, he threatened, ‘jihad’ against the GNA would be necessary, warning that ‘weapons are in every house’. This incitement has had little impact among Tripoli militias and the larger population so far. The statement has provoked a wave of scorn and disregard, instead. For instance, the hard-line Islamist-aligned Al Nabaa channel was attacked and turned off the air. General National Congress (GNC) Prime Minister Khalifa Al Ghwell made a televised statement, telling the Presidency Council to depart or surrender to his forces. Yet, on 5 April, the Justice Ministry had posted a statement saying the institution was ‘stopping our work as an executive power, as the presidency and ministers of the government’. 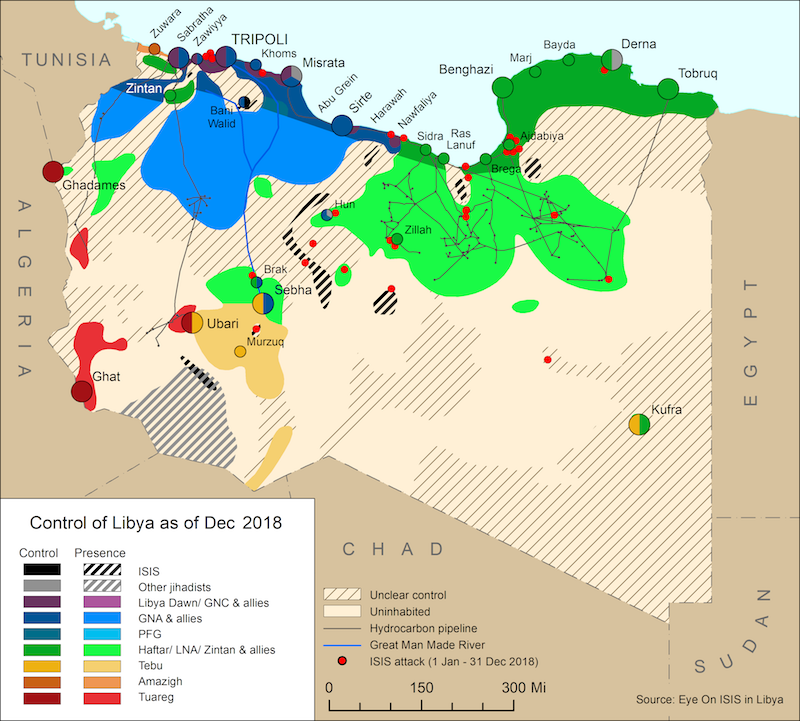 Although the fast-paced events of the past week signal a total collapse of the GNC in the capital and the Libya Dawn coalition which underpins it, the defection and realignment of the majority of militias in Tripoli (and others in Misrata, Zawiya, Sabratha) towards the GNA has led to a corresponding reorganisation of hard-line forces that heightens the threat of clashes in Tripoli and its suburbs. Since arriving, the Presidency Council hit the ground running in a bid to resolve the financial crisis gripping the economy, organizing high-profile meetings with key sovereign institutions such as the Libyan Central Bank, the Finance Ministry, and others. The decision was made to freeze all government bank assets and financial transactions until the newly formed financial committee of the GNA’s Ministry of Finance gives the go ahead for them to reopen. Presidency Council members walked about freely in Tripoli on 1 April and met with crowds openly in Martyrs Square and the city’s souq areas, to demonstrate their safety and popularity. As a result of these political developments in Tripoli, eastern Libyan opponents of the GNA are currently facing tense dilemmas. House of Representatives (HoR) President, and symbolic leader of the hard-line eastern opposition to the GNA, Ageelah Saleh, made a televised statement on 2 April chiding the UN Special Envoy Martin Kobler for imposing the GNA in Tripoli before obtaining the HoR’s legitimating vote of endorsement. While Saleh stressed the need to preserve the unity and territorial integrity of Libya, he demanded guarantees for General Khalifa Haftar’s commanding role in the Libyan National Army (LNA) and invited the Presidency Council to come to Tubruq for a vote to amend the constitution. In the East, the anti-ISIS efforts led by the LNA in Benghazi and Ajdabiya are likely to weaken, due to the return of legal and financial power back to Tripoli. Tensions between the Derna Mujahedeen Shura Council (DMSC) and some LNA units in towns loyal to Haftar pose a considerable threat to the alliance in Derna. 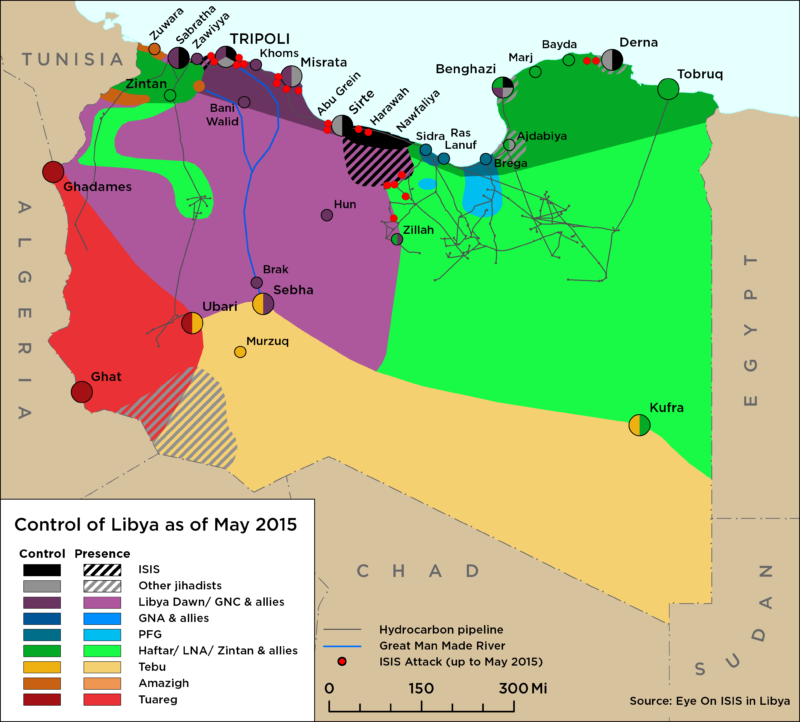 These tensions could provide radical elements from ISIS, and Ansar Al Sharia (so far non-aligned in the battle against ISIS), with an opportunity to spoil any unity deal in eastern Libya. In the West, although the majority of political forces and associated militias are now in favour of the GNC, hard-liners opposing the non-constitutionality of the GNA continue to warn of grievous consequences of imposing a de-facto GNA at the behest of international pressure and military intervention. Mirroring the eastern groups that formed in response to Operation Dignity, militias such as the Tripoli Mujahedeen Shura Council could emerge to fight the GNA if it endorses Haftar, and agrees to retain him as head of the LNA, or if the GNA calls for international military support.